WASHINGTON (AP) – Transportation Secretary Anthony Foxx said Friday the government has opened a price-gouging investigation involving five airlines that allegedly raised airfares in the Northeast after a deadly Amtrak crash in Philadelphia in May disrupted rail service. The Transportation Department sent letters on Friday to five airlines – Delta, American, United, Southwest and JetBlue – seeking information on their prices before and after the May 12 train crash. Among the routes the department asked airlines for price information on were flights to certain Northeast destinations from Dulles International Airport and Reagan National Airport near Washington, Baltimore-Washington International Airport, Philadelphia International Airport, three New York area airports – Newark, John F. Kennedy, and LaGuardia, Logan International Airport in Boston; MacArthur Airport-Long Island in New York, Green Airport in Rhode Island., and Bradley International Airport in Connecticut. “The idea that any business would seek to take advantage of stranded rail passengers in the wake of such a tragic event is unacceptable,” Foxx said. The investigation was prompted in part by a letter from Sen. Christopher Murphy, D-Conn., who complained to the Obama administration that some airlines had increased fares to as high as $2,300 following the train crash. 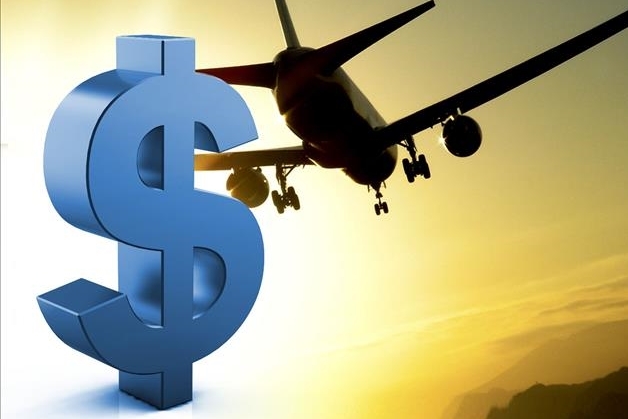 Separately, the Justice Department announced earlier this month that it is investigating possible collusion among major airlines nationwide to limit available seats, which keeps airfares high. The civil antitrust investigation by the Justice Department appears to focus on whether airlines illegally signaled to each other how quickly they would add new flights, routes and extra seats. American, Delta, Southwest and United – the nation’s four largest airlines – have acknowledged receiving letters from the Justice Department related to that investigation. Eight people were killed and about 200 were injured in the Amtrak crash in Philadelphia, temporarily disrupting service. For reasons still unknown, the train accelerated to 106 miles per hour in the minute before it entered a curve where the speed limit is 50, investigators have said previously. In the last few seconds the brakes were applied with maximum force, but the train was still traveling at over 100 mph when it left the tracks.